A godbrother of Srila Prabhupada’s remembers their early friendship and their meeting again after many years. Dr. O.B.L. 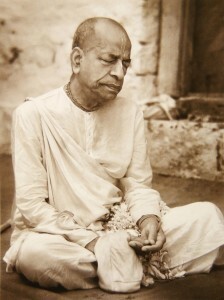 Kapoor, a scholar and devotee, and a friend of His Divine Grace A.C. Bhaktivedanta Swami Prabhupada, gave this interview at his home in Vrndavana, India, in October 1996. 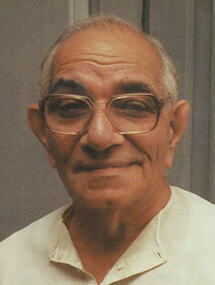 The interviewer, Hari Sauri Dasa, served as Srila Prabhupada’s personal servant from November 1975 to March 1977. During that time, he kept a detailed diary that has become the basis of his multi-volume book A Transcendental Diary. Today in Trinidad and Tobago marks the anniversary of Srila Prabhupada’s appearance in this world. Coming to the West in 1965 on the order of his own spiritual master, Srila Prabhupada would champion the mission of Lord Chaitanya and Krishna in 12 years in a way that was unprecedented in Gaudiya Vaishnava history. We present here, a very nice exchange between one of Srila Prabhupada’s personal servants, Hari Sauri dasa and one of Srila Prabhupada’s God Brothers, Dr. O.B.L. Kapoor. HARI SAURI DASA: I understand that you first met Srila Prabhupada when he was a householder in Allahabad. After 1939 we didn’t meet for almost twenty-nine years, because I went out of Allahabad. I joined the government service, and he remained there. After some time he took sannyasa [the renounced order of life], and he was going about here and there, so we never met. We finally met in 1967, here in Vrndavana. In 1967 I retired and came to Vrndavana to settle down. One day I had gone to the Radha Damodara temple. [Bhaktivedanta Swami] Prabhupada had come from the West, and he was staying in a room at the Radha-Damodara temple. I was sitting, waiting for someone, on the verandah just outside his room. And Prabhupada came out. He was dressed in saffron. I had never seen him like that before. I had only known him as Abhay Babu, as a householder and a businessman. He was now in saffron with a tridandi [renunciant’s staff] in his hand, and two disciples in saffron were following him, like sadhus. Oh, I recognized him from his voice! I said, “Abhay Babu?” And he embraced me. HSD: A very happy meeting. DK: Yes. He was going somewhere, but he canceled his plans. He took me inside the room and told me all about his preaching work in the West. He showed me the newspaper cuttings and so on. Very interesting meeting, very interesting. In Allahabad we used to meet almost every day. Sometimes he used to come to my place, but mostly we met in the Rupa Gaudiya Math, in the evening during the discourse and kirtana. HSD: Can you say something about how Srila Prabhupada conducted his household affairs while he was also developing his spiritual life. DK: I didn’t know much about his household affairs, because we met mostly at the matha in the evening. He had a shop. He sold medicines, and he also manufactured them. Once he manufactured a tonic, and he gave it to me. At that time I couldn’t recognize the significance of his words, but he was going to preach it all over the world. I thought it was just a casual statement. But now I look back, and I can see that he was even then thinking and planning to preach all over the world, which he did. DK: Wonderfully. Ten years, I think, only. All the world over he preached. Almost a miracle. Almost a miracle. DK: Hmm. Unrepeatable. Even Emperor Ashok he preached Buddhism, he was the owner of such a big empire and even he couldn’t do as much as Prabhupada did in ten years. HSD: You once told me that you saw a great change in Prabhupada from when you knew him in Allahabad. DK: Of course, in one sense there was a world of difference between the Abhay Babu I had known and the Bhaktivedanta Prabhupada I met in Vrndavana after thirty years. He was now the president of a huge organization, an international organization. He was preaching all over the world. All the same, he was as humble as ever. 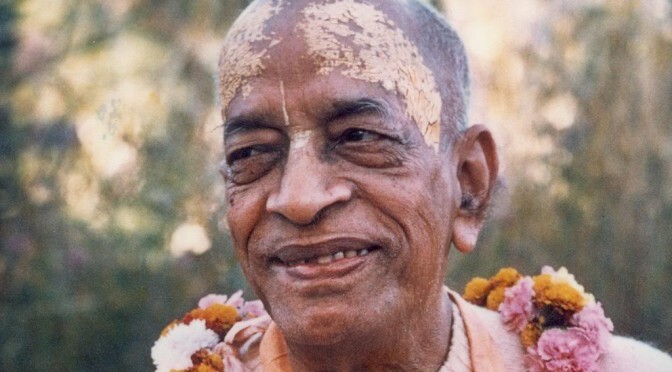 I could never have imagined that he could one day become Bhaktivedanta Prabhupada. I could never have imagined. He was so simple. But, you see, he had the blessings of [Caitanya] Mahaprabhu. It is the blessings of Mahaprabhu that made him Prabhupada.